A stunning scale model of the legendary General Lee. 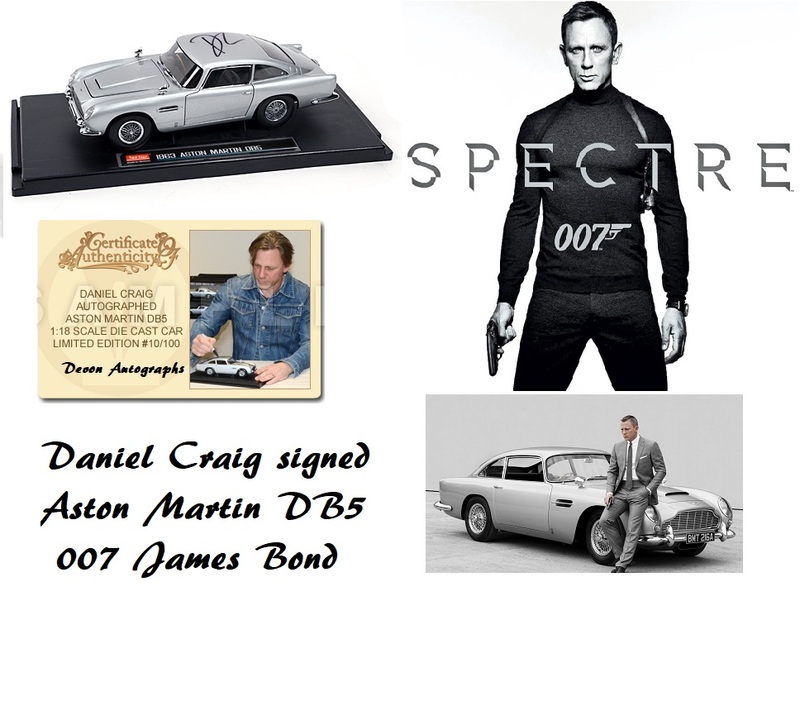 Comes in original box,with full signing details. A very rare collectors item, with this impressive collection of signatures ! a modified Dodge Charger driven by the Duke cousins Bo and Luke in the televison series 'The Dukes of Hazard' . leaving the Dukes to climb in and out through the windows. 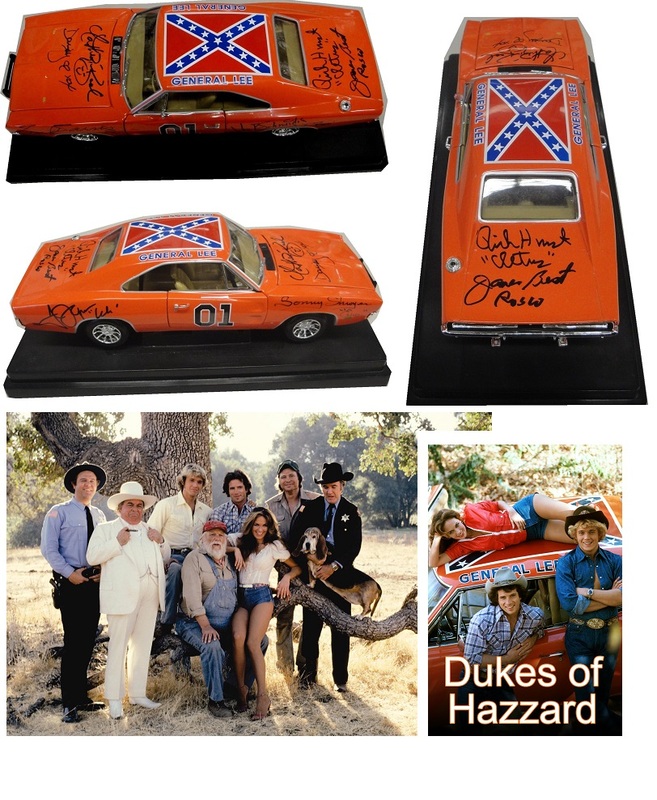 RICK HURST "Deputy Cletus Hogg"
SONNY SHROYER "Deputy Enos Strate"
We also have a rare fully cast signed Duke Of Hazzard photo, plus a very rare signed upper rear door panel from a screen jumped General lee.